Do your kids like the cheesy rice that comes in packets like this? Mine LOVE it. Their grandma makes it for them all the time. I didn’t mind too much until I read the ingredients closely. In addition to all the sodium, there’s a whole lotta weird stuff that I don’t recognize in those packets. My kids like broccoli so I add it. You can skip that part, or sub something else if you like. Peas or carrots work well too. Place olive oil in a medium saucepan over medium heat. Add onion and cook until tender, about 3 minutes. Add uncooked rice and stir until coated. Cook 2 minutes. Stir in broth and bring to a simmer. 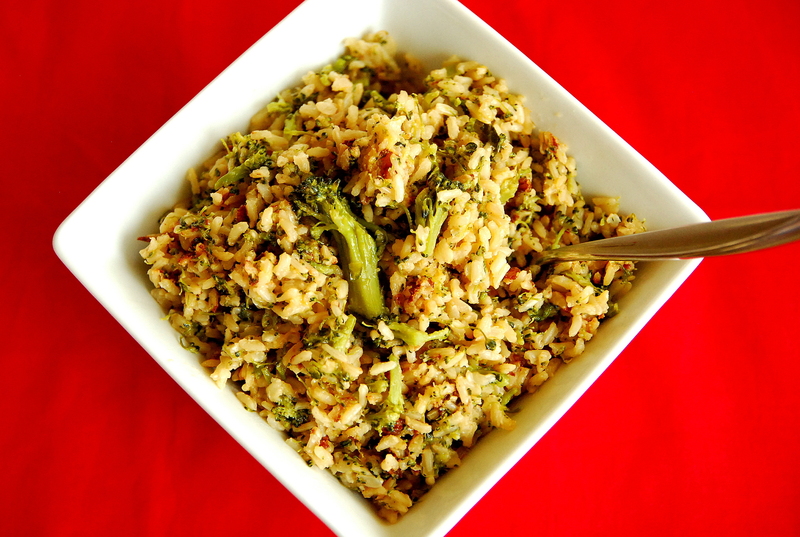 Cover, reduce heat to medium low, and cook 30-40 minutes or until liquid is absorbed and rice is tender. 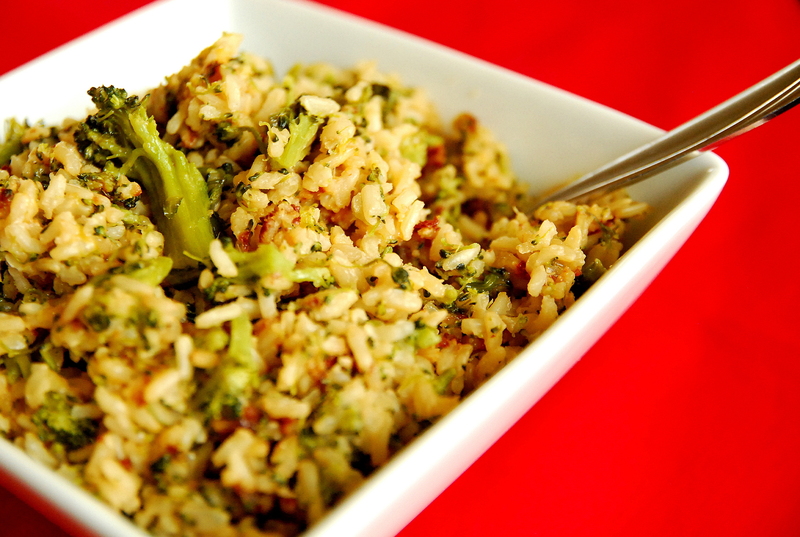 Stir in broccoli and cook 5 minutes or until desired tenderness. Remove pan from heat. Stir in butter and cheese. Taste and season with salt and pepper as needed. Makes the same amount as the packet -- enough for 4 side dishes at our house.